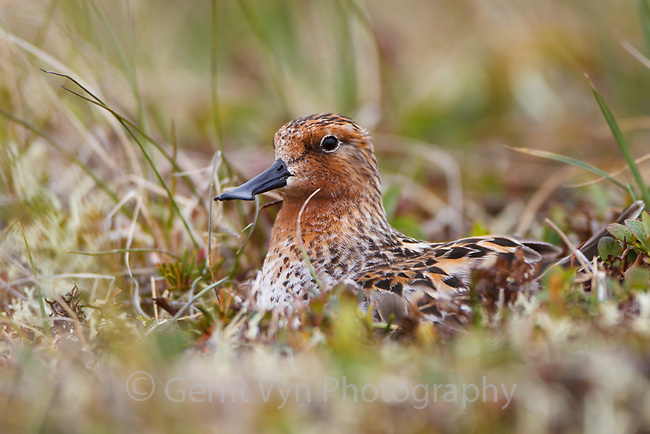 Adult male Spoon-billed Sandpiper brooding newly hatched chicks on the nest. The male attends to the nest during the day, the female at night. Chukotka, Russia. July.